The Hide All Controls switch is located under PLAYER CONTROLS. If this switch is on, player controls will be hidden. 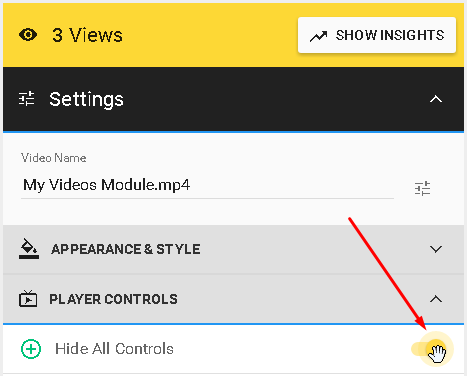 Just turn the toggle off and your video will have player controls included.